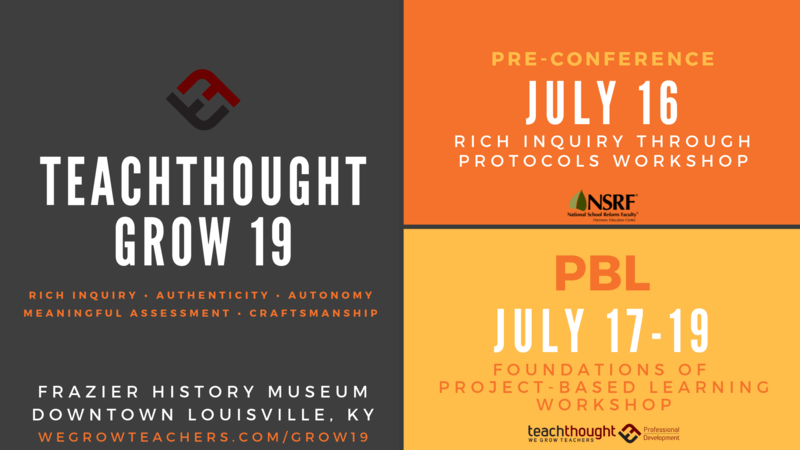 We're excited to present our third annual TeachThought Grow event designed around the TeachThought ethos in downtown Louisville, KY. 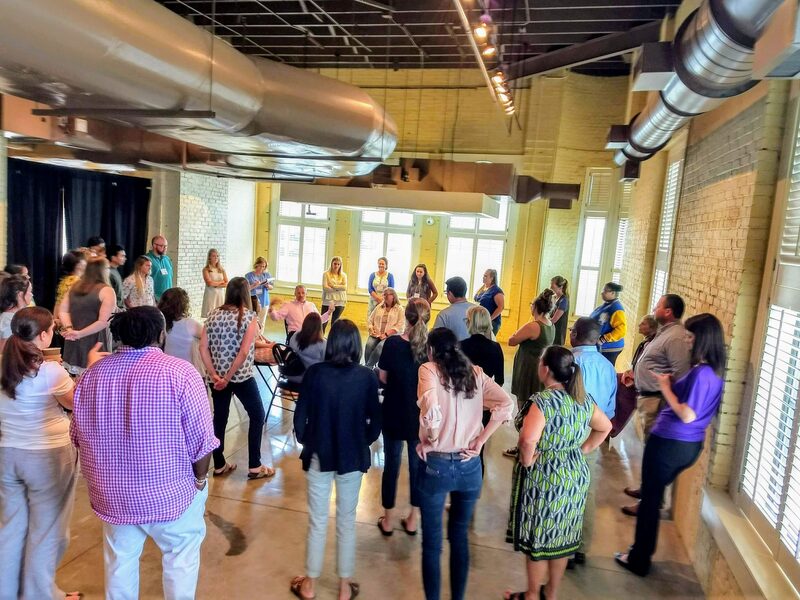 This year we're pleased to offer the pre-conference workshop option, July 16th “Addressing Elephants” | Rich Inquiry through protocols, in partnership with the National School Reform Faculty to accompany the main three days of PBL learning July 17-19. Early-Bird Pricing available until midnight April 1st. 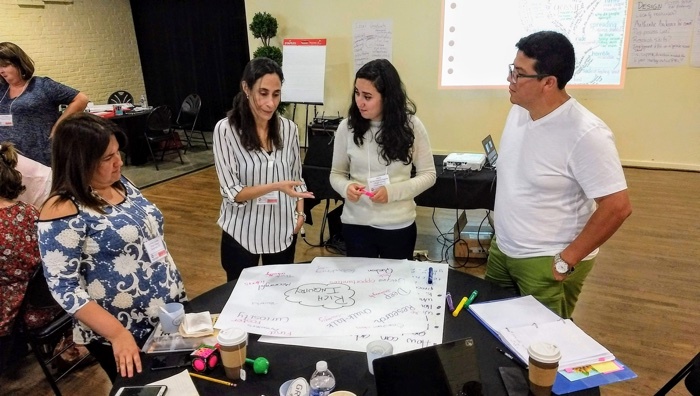 Join international educators, innovators, and master facilitators to learn how to grow your teaching and learning with PBL through our Foundations of Project-Based Learning Workshop! You'll leave with a project ready to implement in your classroom. Leaders will learn how to grow and support PBL in your school. This event is limited to 70 participants! 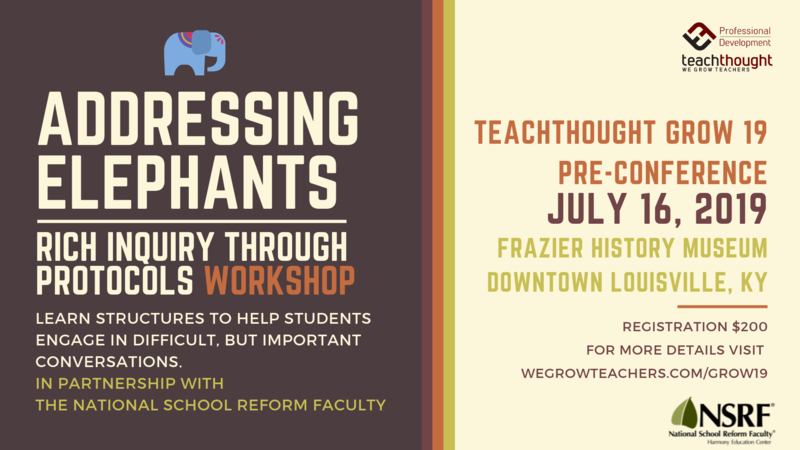 “Addressing Elephants” | Rich Inquiry through protocols, in partnership with the National School Reform Faculty July 16th! This option is meant to help you extend your PBL planning and pedagogy with a deep dive into structured inquiry. We're pleased to offer this in collaboration with the National School Reform Faculty This day is available as a standalone registration or as part of the main 3 days and will be co-facilitated by Director of the NSRF, Michele Mattoon and Director of TeachThought PD, Drew Perkins. Nurture feelings of understanding, respect, empathy, and/or friendliness with others as a result of in-depth, honest, open conversations. *July 16 requires a minimum of 20 attendees, refunds will be processed if registration falls short of that number. Soft drinks, coffee, and lunch will be provided each day and all participants will receive Certificates of Completion. Have questions about payment or using a purchase order? No problem, email us at grow@teachthought.com or call (502) 373-0040 and we'll be happy to help. Please keep in mind our refund policy is full refund minus a $25 service charge until midnight June 16, 2019 EST. As of June 17, 2019 no refunds will be issued. *unless otherwise requested, attendees may be photographed or video recorded and images may be shared via social media and marketing channels.